The history of Mosquito Ring Tone dates back to 2005 when a British inventor by the name of Howard Stapleton came up with an ingenious idea to keep teenagers from loitering outside of shops at night. The idea was meant to drive away teens through ultra high frequency sounds much like how a dog whistle would affect dogs. It was an idea to make the storefront very uncomfortable for the loitering teens while leaving the money spending adult customers unaffected. The product was marketed as an ultrasonic teenager repellent taking advantage of the already well known ultrasonic dog repellent. Park Warehouse – The product blasts a continuous ear-splitting 17.4KHz sound wave (about the same sound an actual mosquito would make) designed to disperse loitering teens from the storefront while leaving adults unaffected. “The Mosquito”, as the product was named, took advantage of a curious medical fact that most adults (and kids) are unaware of. 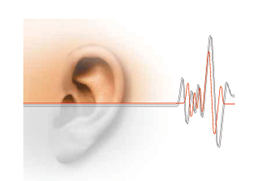 Natural adult hearing loss is particularly acute at higher frequency ranges and most adults can not hear the ultra high frequency ranges after a certain age due to the condition known as Presbycusis. As with any inventive good idea, sooner or later someone is going to use it for something other then the original intended purpose. In this case, some equally inventive teens in the inventor’s hometown (Birmingham) caught on to what the company was doing and decided to put turn the idea into something they could use. They took the ultra sonic frequency and converted into to a cell phone ringtone which they aptly named “Teen Buzz”. As such, the “adult proof” ringtone known as the mosquito ringtone was born. The ringtone immediately caught on like wildfire in the UK, and has since quickly spread throughout the reaches of the Internet to teens everywhere. Teens learned they could hear each others phones ringing at school but their teachers couldn’t. The ringtone goes by many different names including Teen Buzz, Mozzy Tone, Mosquito Ringtone, Ultra Sonic Ringtone, and others. It has been used in several TV series here in the United States as well as in a very clever KFC TV Commercial. Free Mosquito Ringtones is the authority for “teen buzz, the mosquito ringtone”, having been making a variety of tone frequencies in several popular formats available for free since 2006. During this time, our tones have been heard by millions of people around the world. For media inquiries or to ask us a question, please contact us.